"Quality in Service and Excellence in Care" . As one of the best plastic surgeon in Hungary, Dr Rodrigo's gentle approach is built on the principles of artistry, precision, reliability, and individuality. Dr Rodrigo offers a full range of surgical services, including several specialized procedures like the Abdominal Etching for Men, 'Brazilian tummy', Revison Rhynoplasty 'Contour NeckLift', a local-anaesthesia lift with lasting benefits at a reasonable cost, and the 'Contour Mini Brow Lift', an amazing upper facial rejuvenation with minimal downtime. Dr. Rodrigo takes pride in helping patients from around Europe to attain their desired appearance. Please visit the other pages of our site to learn more about liposuction, tummy tuck, facelift, septorhynoplasty and breast augmentation in Budapest. Q.Why travel abroad for plastic or cosmetic surgery? Price tends to be one of the most important factors which potential clients consider..
Q. What are the most important factors for safe plastic surgery abroad ? Ask if your cosmetic surgeon is board certified by the Hungarian Society of Plastic, Aesthetic and Reconstructive Surgeons, or member of the International Confederation of Plastic, Reconstructive and Aesthetic Surgery. Q. What are the risks of undergoing a plastic surgery abroad? Q. How to make sure that you are in safe hands while having cosmetic/ plastic surgery abroad? �Does the physician/plastic surgeon enjoy hospital privileges, indicating a history of medical competence? Testimonials "I would certainly recommend the clinic"
"I would certainly recommend the clinic" Elena Rucker, from Hungary, 27 Aug 10 Were you pleased with the treatment? 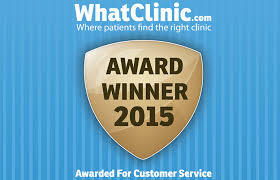 I am very pleased with the results of my treatment and the price I paid was reasonable. I was particularly pleased with the attention and care given by Joanna Karoly. Would you recommend the clinic? I would certainly recommend the clinic. All the people I have been in contact with during my treatment were very friendly and informal. Would you return for further treatment? I would certainly return for further treatment. How Much does plastic surgery or cosmetic surgery procedure cost? This is one of the most often asked questions when people first consider plastic orCosmetic surgery abroad. The bigger issue is do you really want the cheapest plastic surgeon you can find? In this industry, higher cost often equals more qualified expertise.